How often do we say to our children, to friends, to colleagues, and anyone who needs to hear it: “Know your math”? Why should we not say the same about religious faith: “Know your faith”? If you are Catholic, you should know your Catholic faith. If you are not a Catholic but have an opinion about the Catholic faith, you should know what their faith is so you do not spread disinformation about what they believe. Unfortunately, there is so much misinformation in our culture about Catholicism. 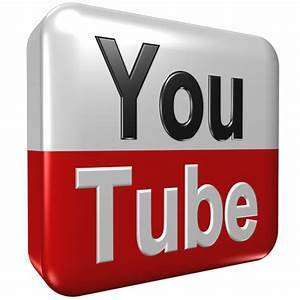 It has been spreading through books, newspapers, television, the internet, and other mass media. Some say it is fabricated information based on an anti-religion bias, more in specific an anti-Catholic prejudice. Whatever the underlying motive is, there is definitely a propaganda war going on sponsored by some kind of smear campaign against the Catholic Church. Nowadays anti-Catholic rhetoric is often disguised. Many “liberals” and “progressives” do not oppose Catholics because they are Catholics—that could be taken as discriminatory—but because Catholics are believed to have certain beliefs “out of line” with mainstream thinking. However, those beliefs are often caricatures that are misrepresentations of the real beliefs Catholics hold. What do Catholics really believe? Asking any Catholic is not always the best way to find out, for some Catholics may not even know the finer details of their own faith, or they have already been affected by the misinformation that keeps bombarding all of us. As Albert Einstein put it, “It is easier to split atoms than prejudices.” So we need to delve a bit deeper than just scratching the surface. We should thank Dr. Gerard Verschuuren for taking on a very worthwhile challenge. Catholic apologetics is something lacking, yet very much needed in our culture. The teachings of the Church are becoming increasingly counter-cultural and thus need constant defending and clarifying. 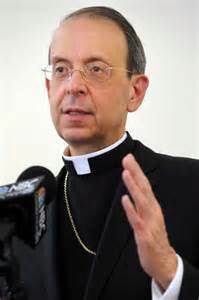 This presents a challenge to bishops and priests, who cannot alone meet this monumental task. So I thank Gerard Verschuuren for lending such a great support to this necessary and important effort! Though there are probably more than forty anti-Catholic myths, at least a thorough consideration of forty of the most dangerous and often silly ones is most needed. This is what Gerard Verschuuren has provided in this useful book. Catholics have always wanted to know how their faith is deliberately or out of ignorance misunderstood. Seeing the myths stated and explained serves both for clarity and truth. — James V. Schall, S. J.
Catholics engaged in frontline apologetics will find Forty Anti-Catholic Lies a helpful tool for correcting common misperceptions about the Church widely held by non-Catholics and even some Catholics. 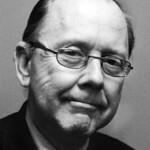 Gerard Verschuuren's intelligent explanations are models of clear thinking and clear expression that make a valuable contribution to the important task of setting the record straight. 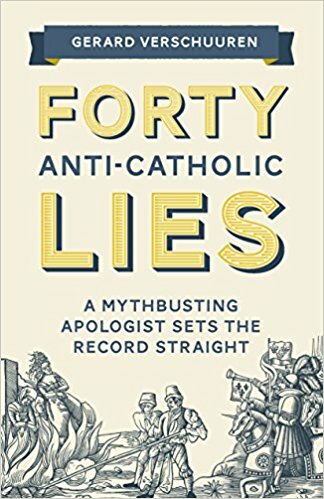 Gerard Verschuuren's Forty Anti-Catholic Lies debunks a wide range of nonsense about Catholicism, ranging from the sacraments to the historical. Easy to read, it is a comprehensive, and authoritative, volume, one that sets the record straight. Read it and enjoy! "One of the most common threads of anti-Catholicism insists that the Church is anti-science—that the Church has impeded the progress of science for 2,000 years, and that science and faith simply cannot cooperate. Verschuuren has put immense effort into combating this misconception. Forty Anti-Catholic Lies is an opportunity for him to expand this work further and correct more misconceptions about the Church." "[T]he surprising thing about Verschuuren in this instance is that he can move so effortlessly into doing good, old-fashioned, incontrovertible apologetics. In this book he touches on the most common misunderstandings of Catholicism that are constantly used to attack the Church by both old-school Protestants and today’s culture-bound victims of superioritis." "Verschuuren writes with verve and conviction... [He] gets the details, but also sees, and insists on, the bigger picture. What I especially like is Verschuuren's down-to-earth examples... Catholics interested in 'making a defense to everyone who asks you to give an account of the hope within you' (1 Peter 3:15) can benefit from this book. The price is a steal." — John M. Grondelski, Ph.D., in The National Catholic Register, Jan. 10, 2019. 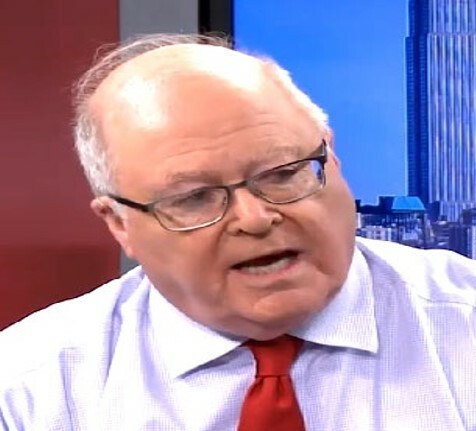 "He doesn’t shy away from hard topics like the inquisition and papal infallibility... every chapter contains myth-busting gold... you need to put Forty Anti-Catholic Lies: A Mythbusting Apologist Sets the Record Straight on your reading list." "[This book] should be part of religious education classes not as a primary textbook but as a resource filled with valuable insights and logical arguments to deflate common myths against Catholics that continue to resonate in our world." "Forty Anti-Catholic Lies is easy reading, accessible to readers from all walks of life, all levels of education, and all degrees of faith commitment. All Catholics, and anyone interested in the truth about Catholicism, should read it." "Every chapter is a gift.... the book itself is an unstated demonstration of genuine education and thinking totally in contrast to the indoctrination provided by most colleges and universities today.... It is a living definition of real education, learning, and thinking. " "Readers will come to see that many of our Christian brothers and sisters have abused the truth in a centuries-long anti-Catholic campaign. Perhaps “40 Anti-Catholic Lies” can therefore be seen as an attempt at a painfully necessary aspect of ecumenism, where Catholics need to address biased Protestant perspectives with robust correctives."